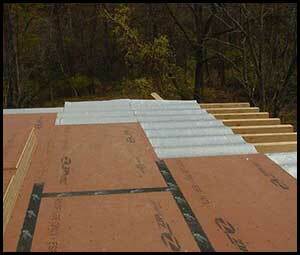 When people think of a roofing underlayment they most likely will picture asphalt felt paper. 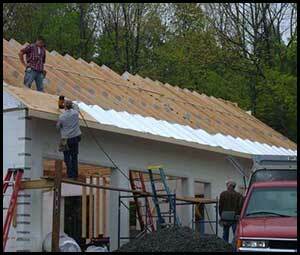 ESP® has revolutionized the roofing industry by introducing the first underlayment that will actually work for the homeowner. 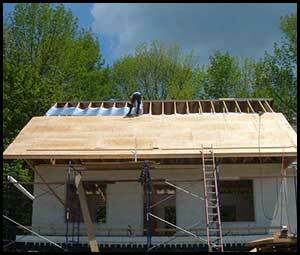 Therma-Sheet Insulation acts as not only an underlayment that will not absorb moisture but also as an insulator. Weighing only 18 lbs the 500 sq.ft. rolls are very easy to install. 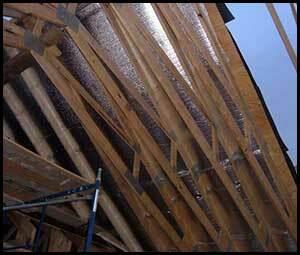 Installed correctly it will seal around fasteners, provide a complete vapor barrier, and stop radiant heat gain/loss. It can also be left exposed when "drying out" time is needed. No other underlayment can offer this much for the price. 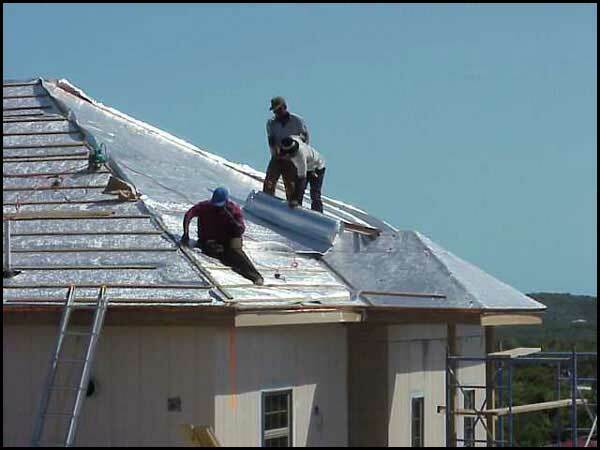 Homeowners will be placing a product on their roof that will pay for itself by saving them money on utility bills. 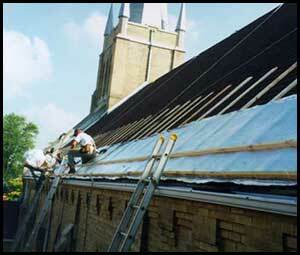 While most underlayments will deteriorate over time, Therma-Sheet will last the life of your roofing system. Low-E™ Perforated Double Sided Foil was placed in the rafters, draped so as to allow air movement between the soffits and vented ridge. 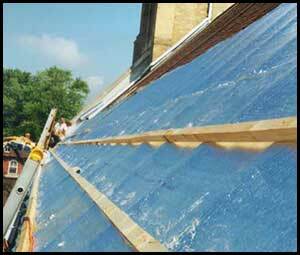 The Low-E™ is stopping 97 % of the radiant energy from passing through the roof system but allowing it to breath. Beneath the Low-E™, unfaced mass insulation was added and then an additional layer of Low-E™ Tab insulation was added to stop heat loss and provide the true vapor barrier toward the heated side of the room. With these changes in the building science we can make your home like a thermos bottle. Green building is not just a trend, but the wave of the future as more and more homeowners and builders demand energy efficient homes and products. Low-E™ Insulation products are designed for maximum energy and cost efficiency. Whether it's under slab, under roof, around duct work or wrapping the entire house, Low-E™ Reflective Insulation saves more money on heating and cooling than regular insulation and housewrap. How Does Low-E™ Reflective Insulation Really Work?